Each day we will be exploring these categories in new and fun ways. They will over lap to enhance your child's understanding of each category. Creating art with different materials and exploring what they can do with them is fascinating to children. 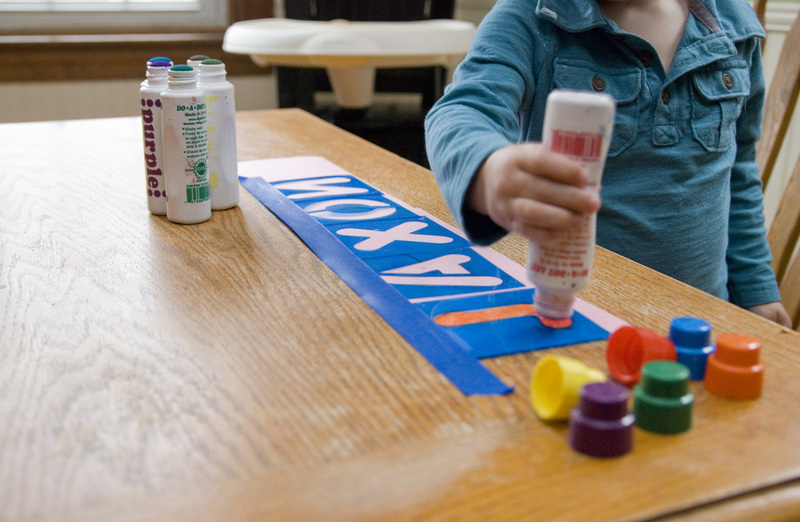 These art projects help them learn to follow step-by-step instructions, develop listening skills, and manipulate a wide range of materials. They also reinforce other activities and concepts learned throughout the day. It is also a great way to stimulate your child’s imagination, creativity and communication skills. Each day we explore the world of science with new and fun experiments that encourage children to explore cause and effect relationships. 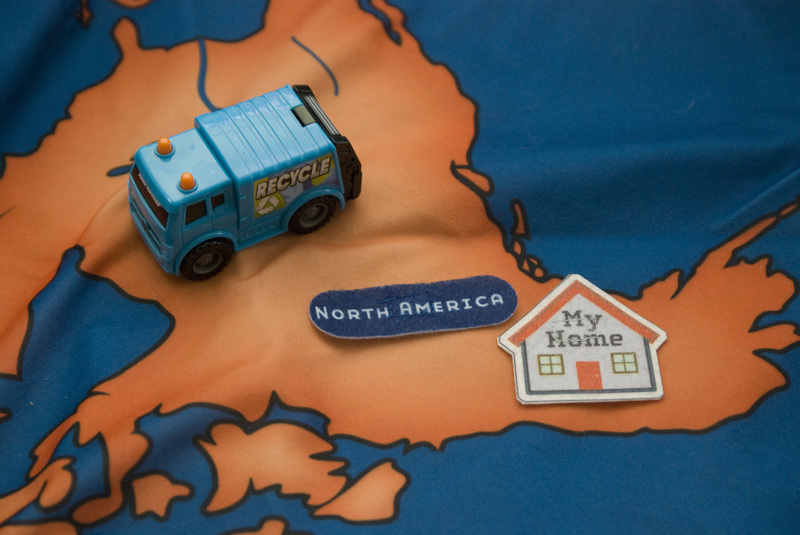 For young children a science project involves anything where you see a change. A project can be as simple as dropping something in the water and observing whether it sinks or floats; or comparing and contrasting leaves that were collected outside. With each project they will observe, predict and interpret the change they see. 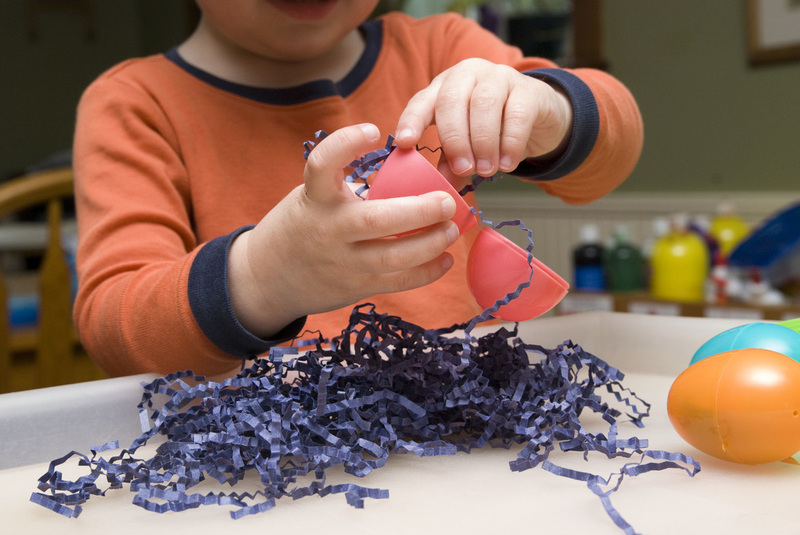 Fine motor skills are movements that involve the use of small muscles in the fingers, toes, or wrists. 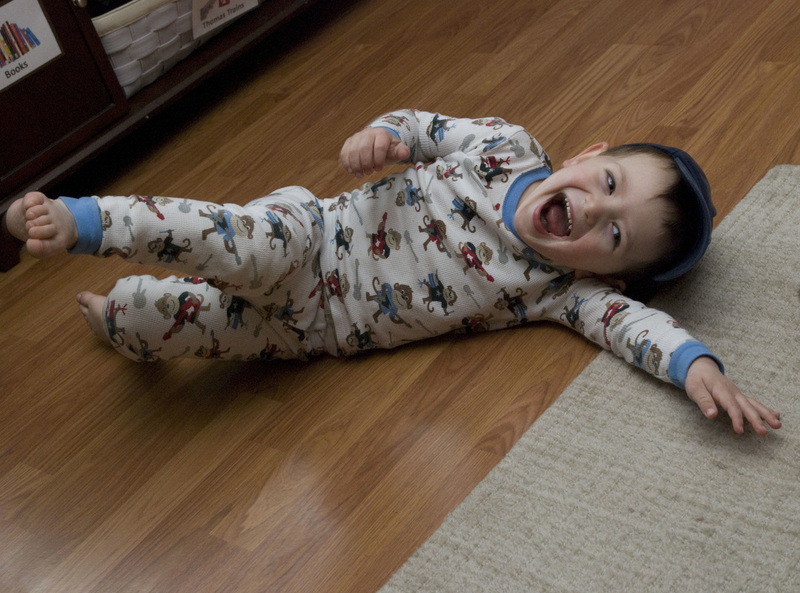 Large motor skills involve the use of bigger muscles in the arms, legs and feet. These skills will develop naturally in our classroom with every project we do. Fine motor skills will be refined during activities such as painting, writing, building with blocks, or putting together puzzles. During these projects your child will learn how to control their hands and fingers to do certain tasks that can help with everyday life. 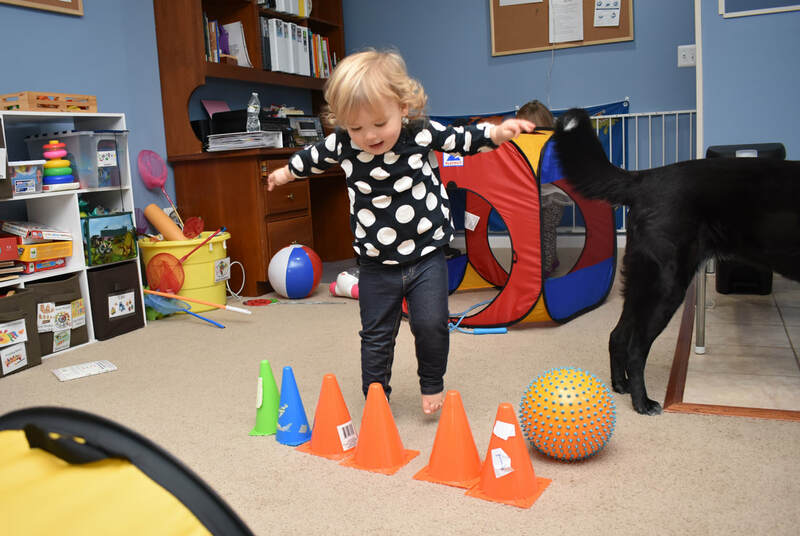 Your children will enjoy playing movement games that also help them learn how to follow directions. 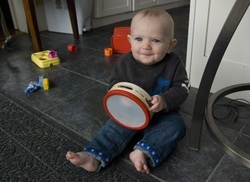 Finger plays and playing musical instruments provide opportunities to work on fine motor skills and hand eye coordination. During this time children are also made aware of basic math concepts with patterns in music and learn about the world around them through music and songs. ​Children learn best through hands on experiences. 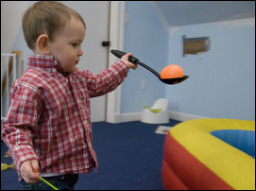 Sensory materials provide open-ended opportunities for children to focus on the process rather than the product. 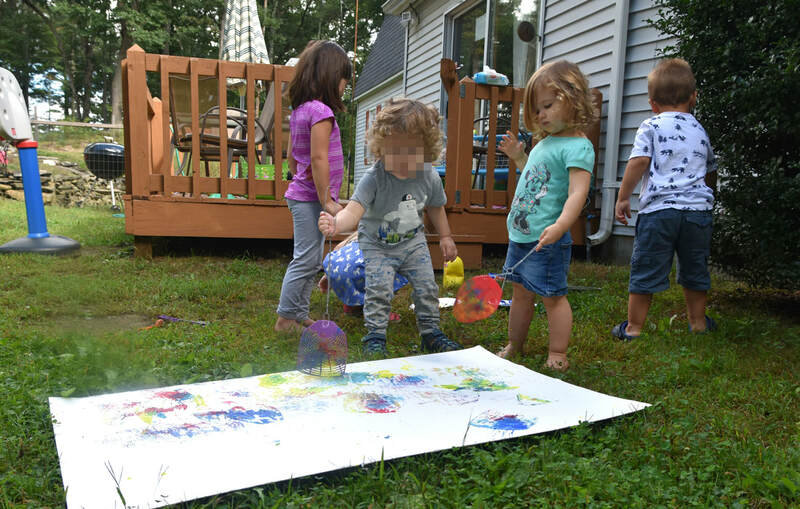 Self expression and creative thinking skills are fostered when children get their hands into materials of different consistencies like shaving cream, snow, dirt, sand, rice, or paint. When we place these materials in the sensory table, children will also learn how to work together to achieve a goal such as mixing water and dirt or filling a container. 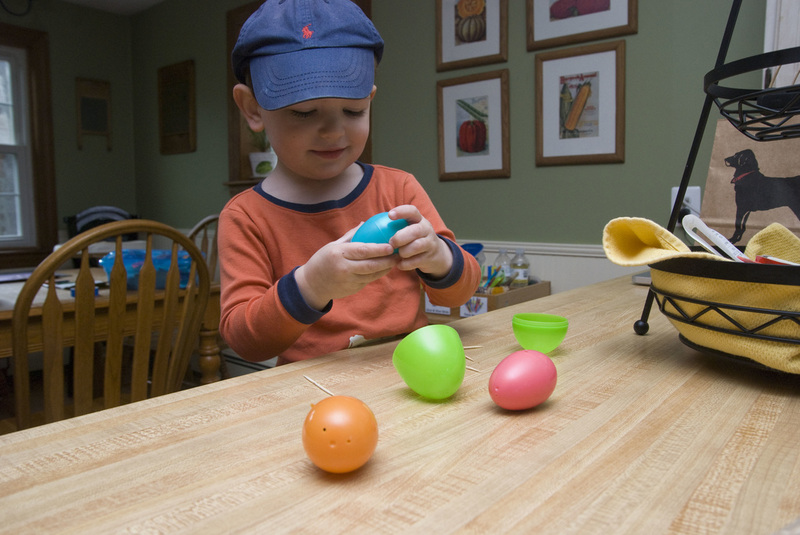 Children naturally learn mathematical concepts through ordinary everyday interactions. Concepts such as counting, measuring, problem solving, reasoning, and identifying shapes and patterns are reinforced by doing hands-on projects that involves the children's experimentation with different kinds of manipulatives. 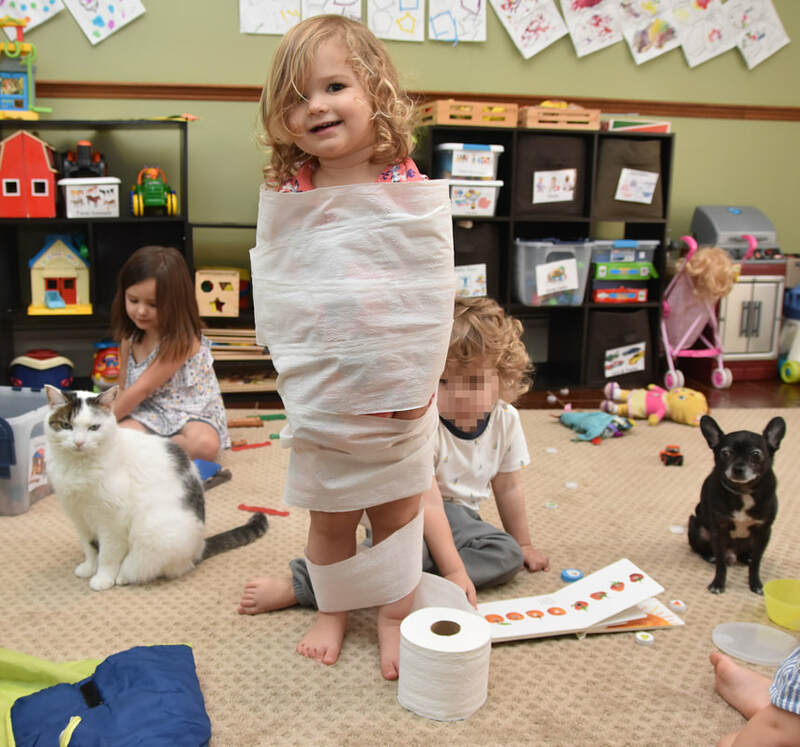 Imaginary play is strongly encouraged with our assortment of dramatic play toys and through daily interactions with peers and me. 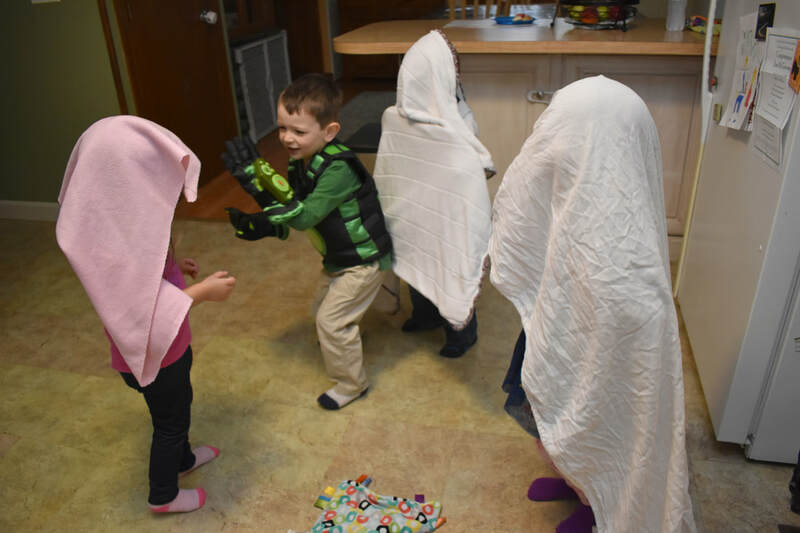 When children are engaged in imaginary play, they experiment with decision making and imitate what they see around them; this helps promote social skills and an understanding of their daily experiences. 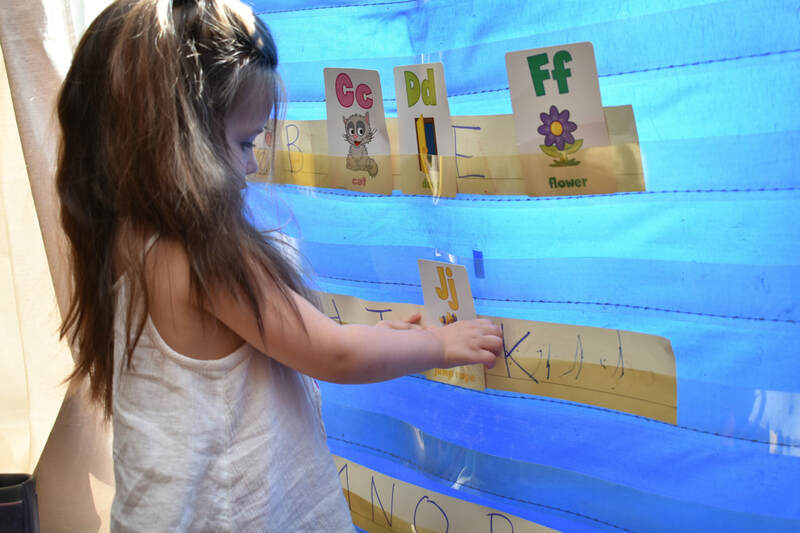 We build language and literacy skills by providing children with opportunities to integrate listening, speaking, early reading, and writing in all our activities, especially circle time. Twice a day we read stories in new and interactive ways, such as felt boards and with different props. The stories we read will relate to different topics we are learning. I also emphasis letter recognition by introducing your child to the way that letters sound and how they are used in words, and in our world. Here are some of the curriculums I have implemented. Sensory Eggs: We shook them guessed what was inside. 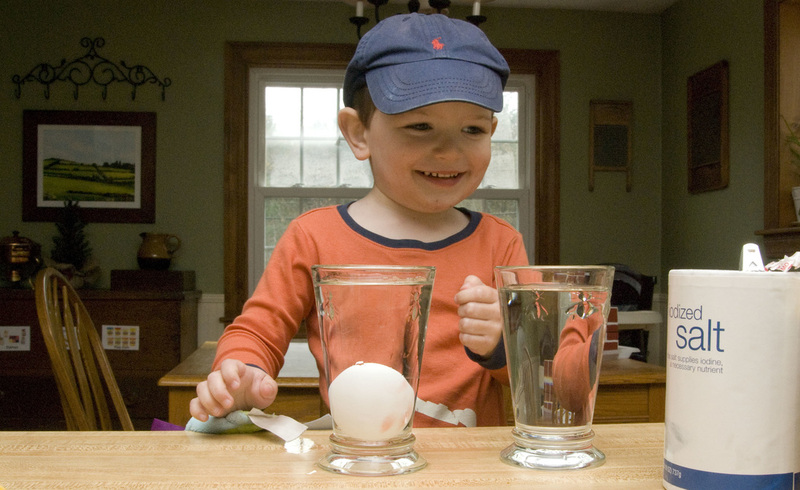 Science: Do eggs float? Only in salt water! Science: We placed different materials under the egg to see if we could prevent them from breaking. Sensory Eggs: The kids enjoyed filling the eggs themselves! 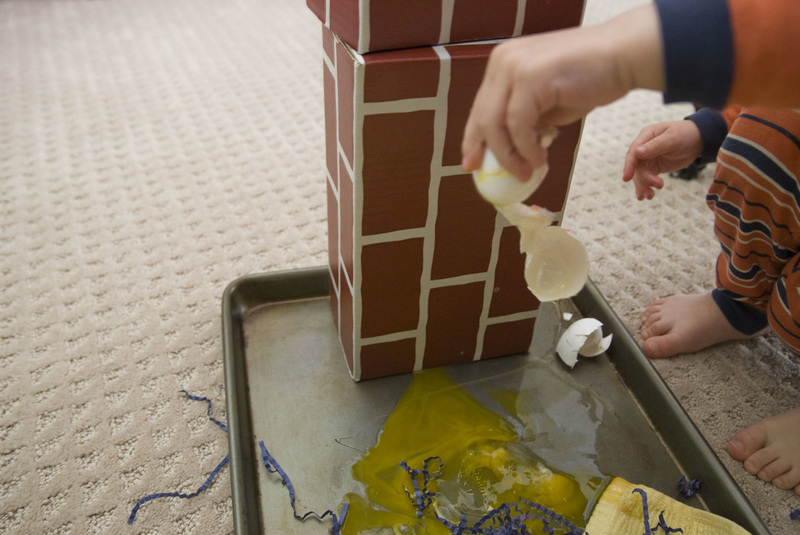 Science: We observed what happens when we drop and egg of a wall. Art: We put Humpty back together with bandaids. Art: We constructed own Humpty and brick wall. They did a great job matching the bricks to the correct numbers. 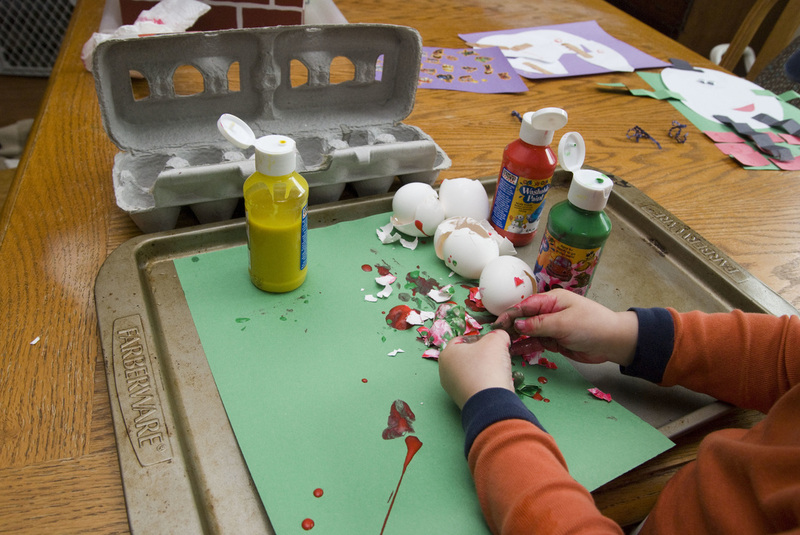 Art: Filled egg shells with paint and dropped them on the paper! We also enjoyed crushing the eggs with our hands and pouring the paint over them. 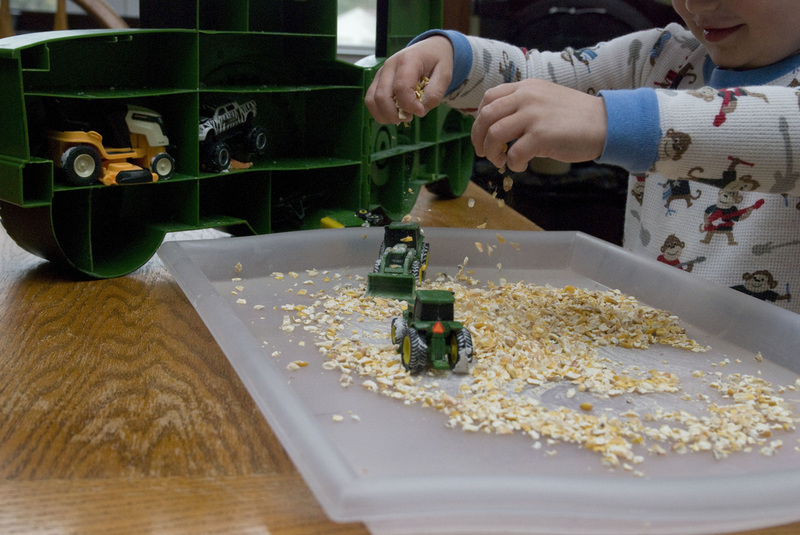 Sensory play: Played with cracked corn and tractors. Gross Motor: We galloped like horses, hopped like bunnies and in the photo above Jaxon is rolling around like a pig in mud. 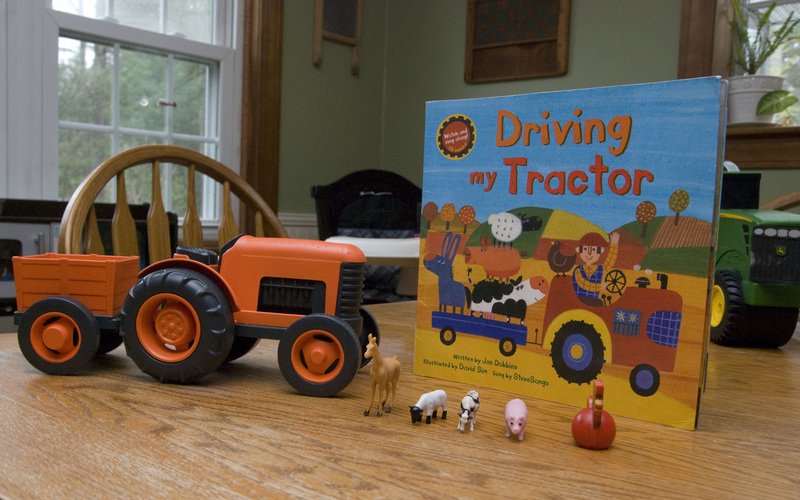 ​Language: We read "Driving my Tractor" and acted out the story with our own orange tractor and farm animals. Dramatic Play: We played with with our barn and farm animals. Music: Sang "Old Macdonald had a Farm"
Art: Created a picture of a farm with animal stickers. 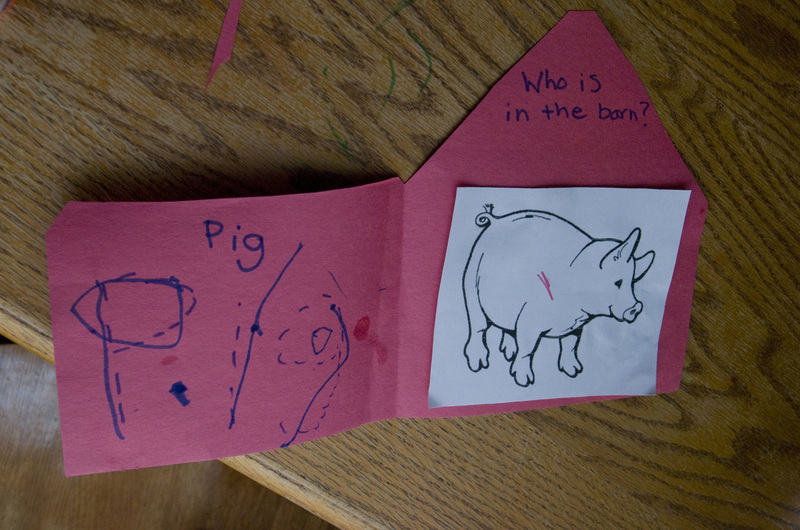 We also practiced drawing shapes, like a rectangle for the barn and a circle for the pigs mud puddle. Social Science: We discussed why farmers keep animals and what we use them for. Language: Learned how to spell more animals names with our See and Spell game. Language: Identifying letters on the map! 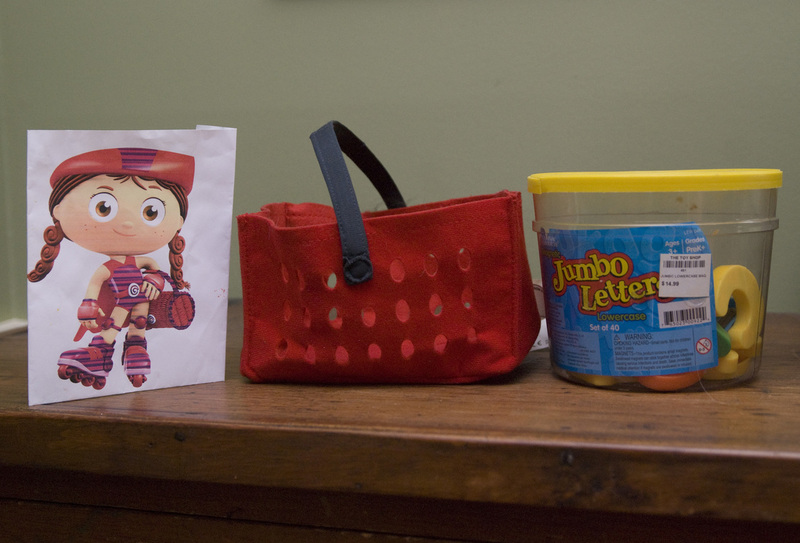 Language: Letter Hunt with Wonder Red and her word basket! Dramatic Play: After we learned about the butterfly life cycle, we acted it out! : My friends got inside the sleeping bag and pretended to wiggle around like a caterpillar. Next I wrapped them up in a toilet paper cocoon and then they broke free and flew away like butterflies. Fine Motor: I made the Hungry Caterpillars food and the kids had a great time using their fine motor skills to put the food in his mouth. .
Art: Fly swatter painting. Messy, but fun! Circle Time: I recited this fun rhyme and then the kids took turns acting it out.. They loved chasing each other with the bee glove. Art: We used Bubble wrap to paint our beehives. Sensory: We used funnels to fill yellow balloons with flour and pretended they were bumble bees. Then we sang, "I'm bringing home my baby bumble bee" with them. Science/Art: The kids learned about the anatomy of a bee by putting bandaids on the bee's "boo boo's." Language: As we read "The Grouchy Lady Bug," we acted it out with the animals from the book. Math/Art: We counted to 12 on our clocks and then followed along with "The Grouchy Lady Bug" book and matched each animal to it's correct time.